Once convection can wrap around, re-intensification (I'd say this is around 90 knots now) is likely, and I'd say this has a decent chance at reaching 115 knots again. Hopefully this doesn't ERC prior to landfall, keeping the RMW small. Appears to have sucked in some dry air. Or is that an outter eyewall signaling the start of another ERC? 310900Z POSITION NEAR 13.9N 58.3E. HIGH CONFIDENCE IN THE INITIAL POSITION BASED ON THE PINHOLE EYE. 15:00 UTC warning from JTWC at 115kts but will weaken at landfall to cat 1 or to TS. Seems to me like a 2-3,000' coastline elevation would disrupt circulation well before the eye comes ashore. 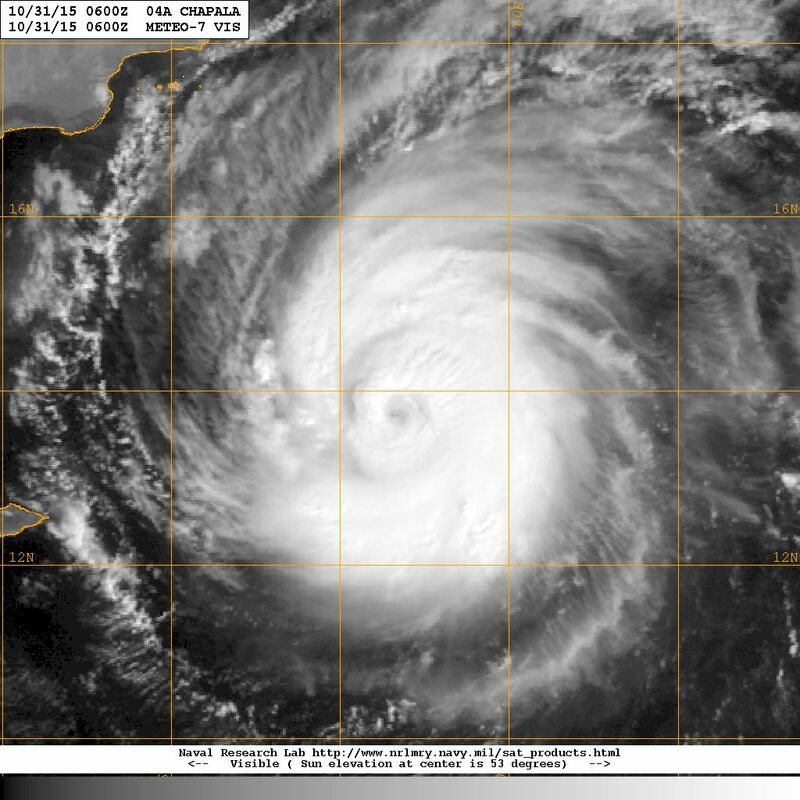 cycloneye wrote: 15:00 UTC warning from JTWC at 115kts but will weaken at landfall to cat 1 or to TS. And I would say that forecast is too aggressive with the weakening. The reason is they have this on a weakening trend now. 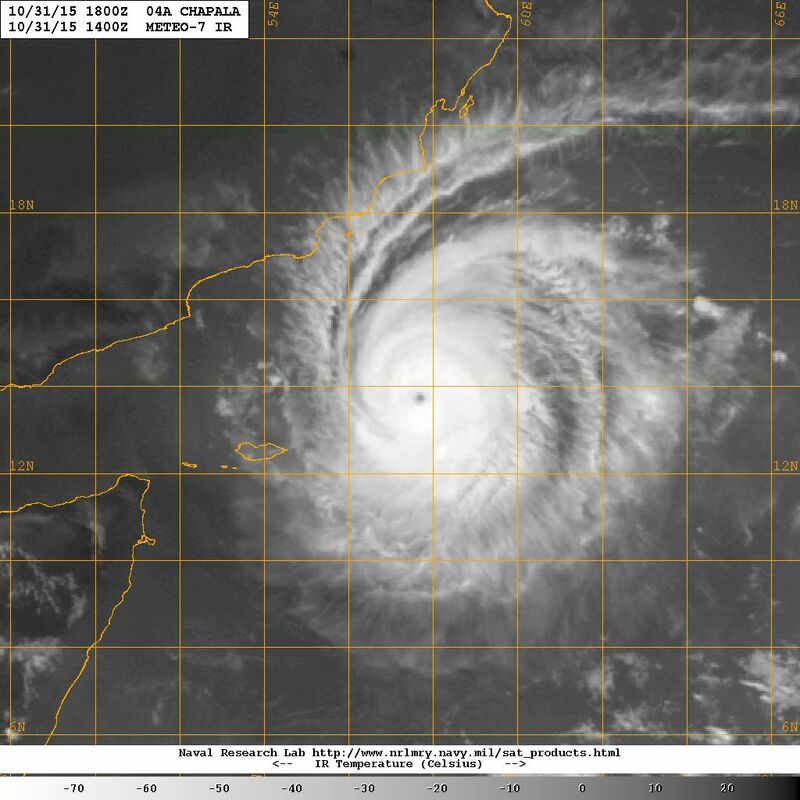 However, the weakening was without a doubt due to eyewall replacement. This has intensified during the past 12 hours. OF 5.5. MET AND PT AGREE WITH DT. DBO DT. Looks embedded in B to me. Still, CDO is quite ragged, so I'd only estimate around 110 knots right now, maybe 115 given how good it looks on microwave. al mukalla in play too it looks like. do you still think it'll be closer to there alyono? terstorm1012 wrote: al mukalla in play too it looks like. do you still think it'll be closer to there alyono? Eye appears to be warming. Cloud tops around the eye have cooled and become more organized. To me, looks like DG eye is embedded in either W or B surrounded by CMG. That'd be either a T6.0 or T6.5. OF 6.0. MET AND PT YIELD A 5.5. DBO MET. Why is the JTWC basing it off of MET? Even its outflow have impoved drastically - almost radial now. Appears to be 3/4th away from a WMG. Impressive. Really looks like it's intensifying.